MetLife (Metropolitan Life Insurance Company) ran “Everyone”, a commercial featuring Looney Tunes and Hanna Barbera cartoon characters, during the 2012 Super Bowl. 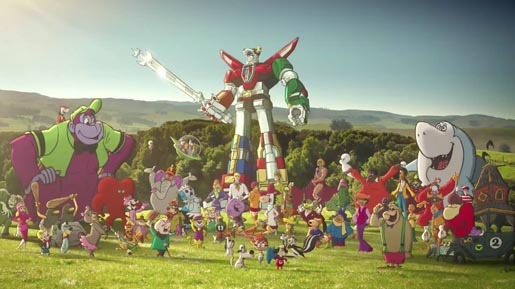 The ad shows characters such as Charlie Brown and Peanuts friends, Waldo and The Jetsons congregating together to celebrate the tagline, “Metlife: I Can Do This”. The cartoon campaign is continued on the Metlife Facebook page, where visitors are able to interact with the characters. The campaign will also include print and digital elements, along with further television spots, including “Piano”, to be launched later in February. The Everyone Cartoons campaign was developed at Crispin Porter & Bogusky.